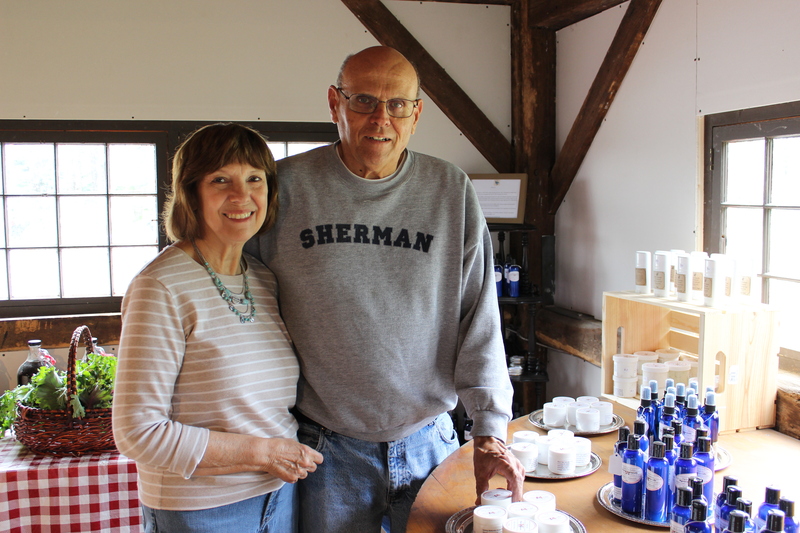 Sherman, Connecticut – Meet the Royals… A family that’s transforming a foreclosed farm into a multi-dimensional business and community gem. 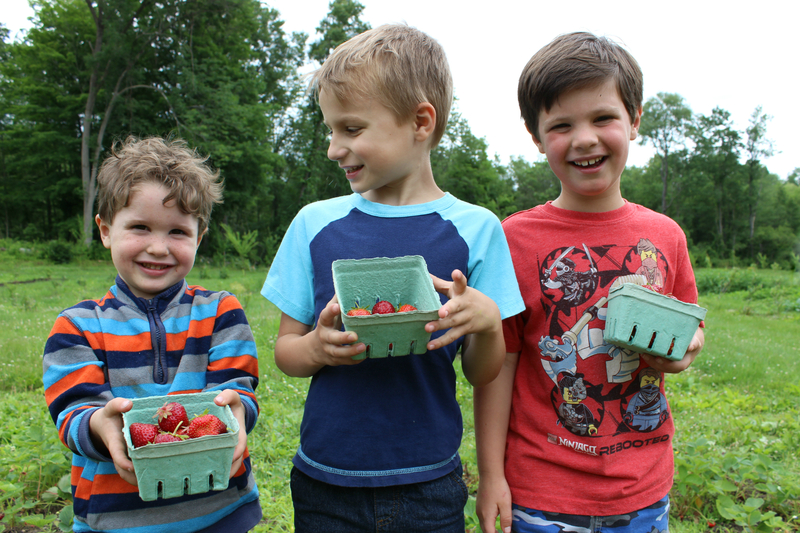 Summer is here at last and so were the ripe, tasty and delicious organic strawberries at Strawberry Fields Farm in Sherman. How delicious are they? Here’s what some visitors had to say who celebrated the Summer Solstice at the Grand Opening of this regenerative organic permaculture farm. 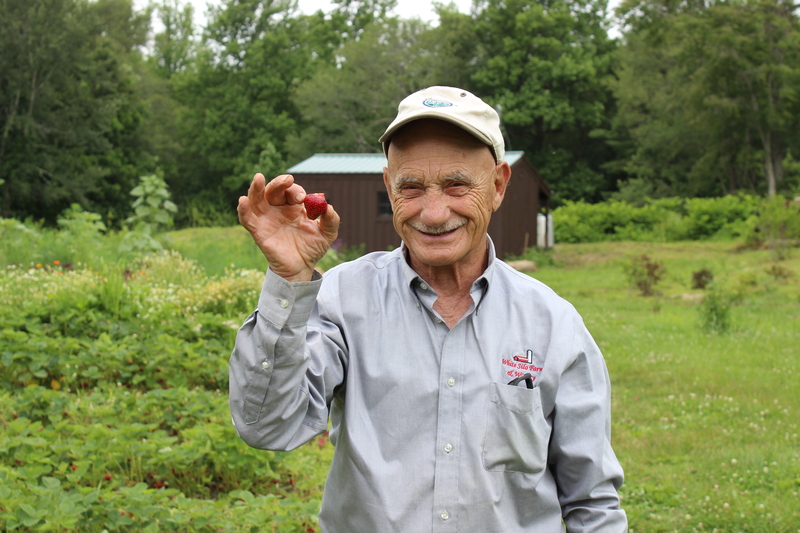 “This is the BEST strawberry I ever taste d!” declared Ralph Gorman, owner and farmer of White Silo Farm & Winery, just after he popped a succulent red strawberry into his mouth. 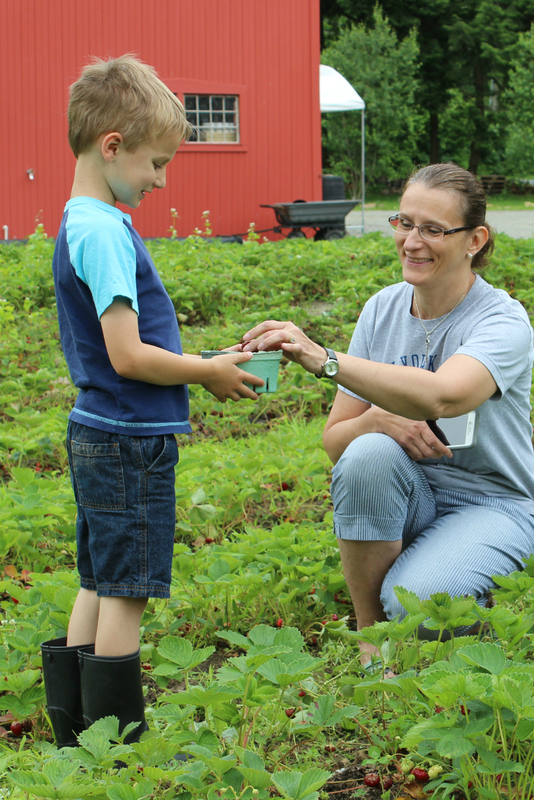 “Why, this is the most scrumptious strawberry and the store-bought ones don’t compare!” said Barbara Laderman, an out-of-town visitor from Massachusetts, as she sampled a strawberry. 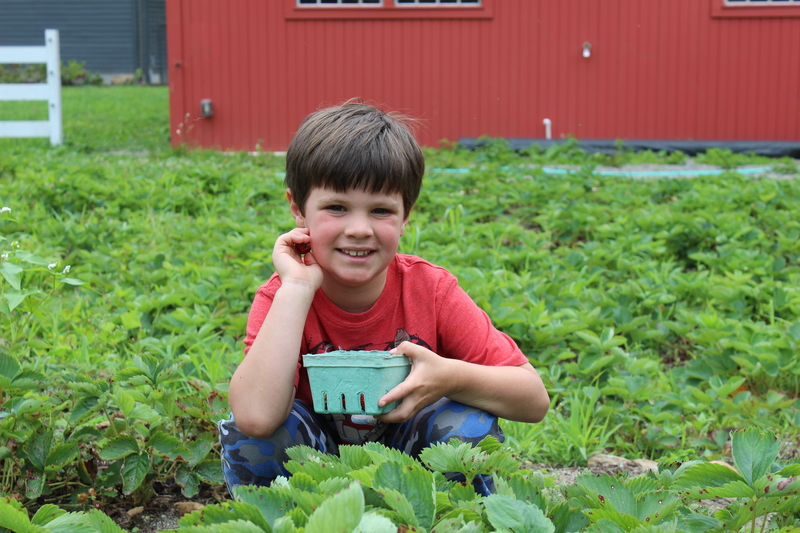 As for the children, and adults alike, their stuffed cheeks and bright smiles said it all as they “taste tested” and had fun picking and gathering strawberries from the field. For those who attended this successful open house event, it was easy to see why the rows and rows of strawberry fields were the main focal point of the weekend. After all, the strawberries were in peak season and just perfect to eat, too. However, there were more surprises awaiting patrons who came out from near and far to re-explore the reinvigorated farm that was recently in foreclosure and to meet the enterprising new owner, Carol Royal. She has an ambitious master plan, which involves her family, and they are already transforming the property into so much more than an organic strawberry farm. 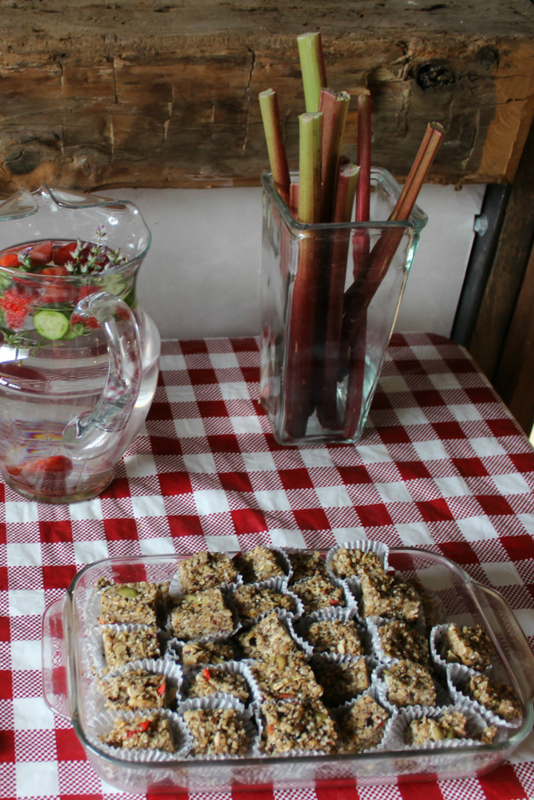 After picking strawberries out in the field, many visitors tried the refreshing strawberry, cucumber and mint water once they went inside the large rustic barn on the property. They could also sample Halva, an old Jewish dessert, prepared in a new way, with only raw ingredients. The strawberry, honey, and lemon Frozen Hearts were especially appealing to the children’s taste buds. As for the delicious kale chips, only the kale grown on the farm was used by Ms. Royal’s daughter-in-law Carrie Royal, a professional natural foods chef. Tucked away in nooks and crannies, strawberry jams and maple syrup made with ingredients straight from the farm were available for purchase. Inside the red barn was also an organic bath and body display, something for everyone. Naturally, one could sample fine soaps, mists, and lotions made with strawberries as well as herbs and flowers from Strawberry Fields Farm. Strawberry-Watermelon and Strawberry-Cucumber scent combinations were especially popular with many of the visitors. Art enthusiasts who attended the celebration could also study and appreciate a stunning work of art that’s in-progress. 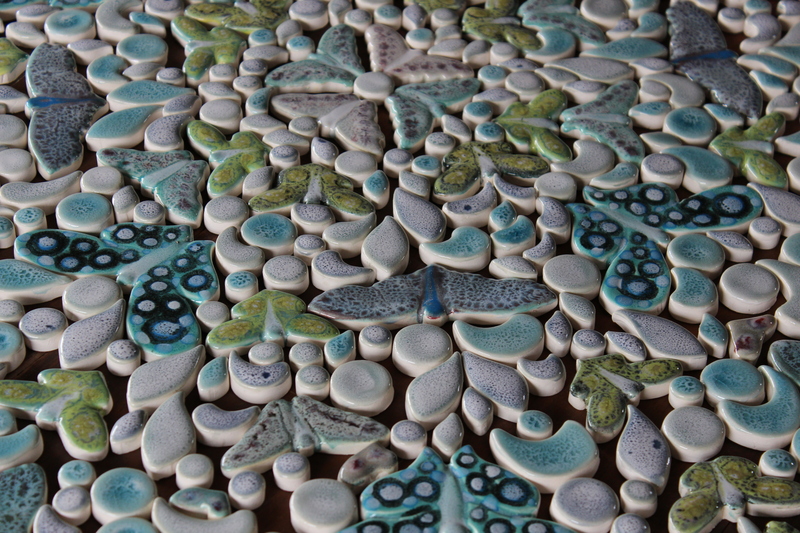 A butterfly-themed mosaic is on display in the red barn and it’s quite interesting to see how the beautifully intricate ceramic pieces are coming together to create a circular mosaic masterpiece. One can only imagine the countless hours of painting, firing, and glazing it will take to finish this work-of-art by Ms. Royal’s son, Toms Royal, a professional artist and farmer in residence. The enterprising woman behind the scenes making it all happen is Carol Royal. She is originally from the Boston area and has lived around the world. Her children grew up in Princeton, New Jersey and she had a corporate design business called Interior Workplaces, which she sold in 1990. Then, as an older student, she went back to school in Paris and earned a BA in European Philosophy. From there, she received a Masters Degree in Adult Education from Rutgers and moved to Portland, Oregon to start a construction business. Six years later she moved to Millburn, New Jersey where her daughters Weld and Rebecca live. Ms. Royal bought a house out of foreclosure there and renovated it back to its grandeur, then sold it. In 2011, Weld was looking for a country house in Connecticut near where she went to school, The Kent School. While looking at real estate, she saw the listing for the foreclosed dairy and strawberry farm and immediately sent it to her mother. Ms. Royal’s son, Hardy Royal, her professional financial advisor, said it was a wise investment. “The rest is history!” stated Ms. Royal with an all-knowing smile. After all, she wanted both an intellectual challenge and an outlet for physical exercise, which makes the farm a perfect lifestyle choice for her. Strawberry Fields Farm has a total of 13 acres of land, and 8 of the acres are farmable for growing organic fruits and vegetables. 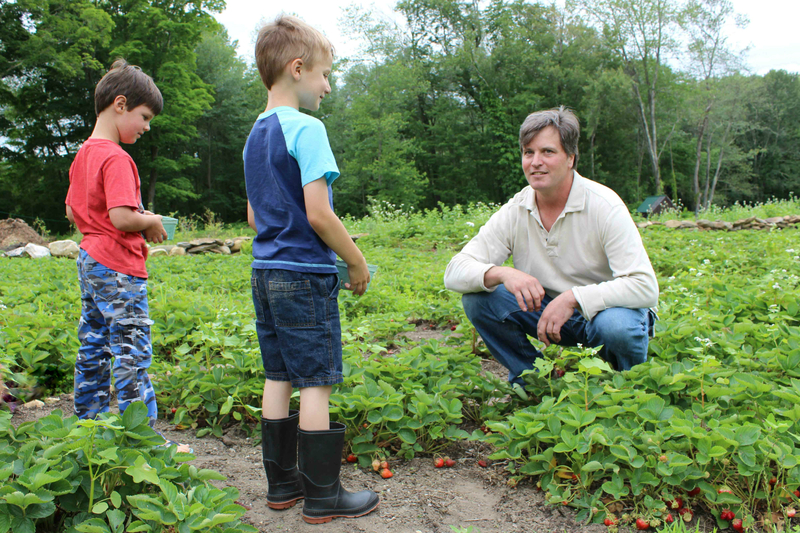 The first crop, 3,000 plants of “strawberry fields forever,” were planted on the farm two years ago. Then, another 5,000 strawberry plants were planted last year. An acre of blueberries, another acre of brambles (raspberries, black berries, and black raspberries), and a sugar bush are also on the farm. There are 2 acres of plum, pear, and cherry trees as well. Ms. Royal said with excitement, “this year we also did two rows, 1 acre, of Hugelkultur. This is a German word and it is named after Mr. Hugel who invented a new process for running vegetables like melons, pumpkins, squash, and gourds.” In other words, hugelkultur is the practice of composting large stumps and logs to create raised garden beds that grow through the vehicle of moist rotting buried wood waste. The Organic Trade Association (OTA) declared that 90% of American households on the West Coast and in New England make organic a part of their supermarket purchases. In December of 2014, Ms. Royal officially became an LLC Sole Proprietor. Within just a short period of time, Strawberry Fields Farm now offers tasty organic berries and vegetables, a display of skincare products made with herbs, calendula flowers and berries grown on the farm. Test Kitchen: Since Carrie is a food architect and a healthy food chef professionally, she will be in charge of the test kitchen and all of the food experimentation. She will also offer cooking classes for all ages using ingredients from Strawberry Fields Farm. A Winery: Last year, Toms insisted on planting red wine grapes on the farm. “They should be ready by next year,” he said. The variety Toms planted are Saint Croix, for a dry red wine, and Corot Noir, Pinot Noir, which is ideal for cold weather climates. Once the Royal family experiments and comes up with the perfect blend, they want to put the farm on the map and make it a destination on the Connecticut Wine Trail. Specialty Drinks: The family is also going to experiment with fruit infused bubbly water and other specialty drinks, including both alcohol and non-alcohol beverages. They plan on giving away plenty of samples for their customers to try until they come up with the perfect mix to market and sell. Nature Trails: The farm just so happens to border the Appalachian Trail, so the Royals want to add trails throughout the property, especially because there are “incredible amounts of native wildflowers and wildlife” said Toms. Art Center: As of this past January, Toms, his wife Carrie, and two young sons moved to Sherman from Washington to help his mother on the farm. Not only does he help to farm the land, but he can also devote the time needed for developing a specialty ceramics, mosaic studio on the farm. Toms is also planning on offering art / mosaic classes for students of all ages at the farm. All bets are on that Sherman and surrounding communities will continue to grow with the Royal family as they grow their farm and multi-dimensional business together. After all, it’s locally owned and operated by an enterprising, ambitious, and close-knit family. 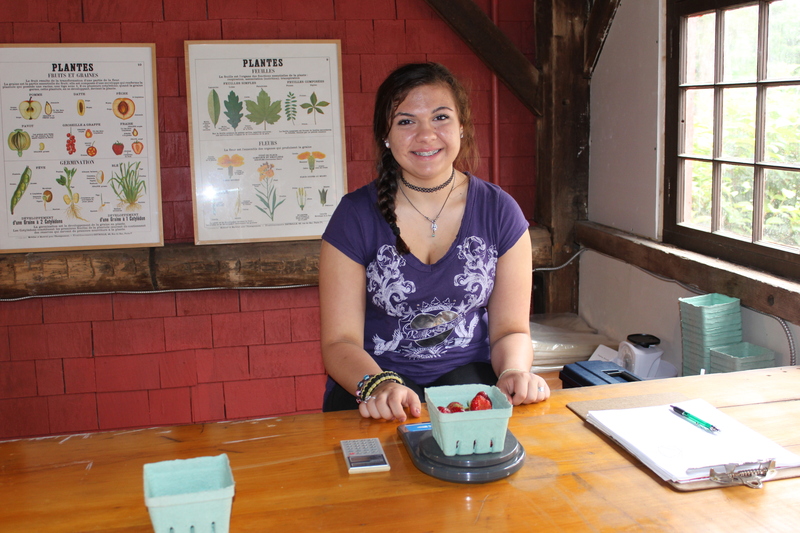 If the delicious organic strawberries are any indication of what’s ahead, then this farm is sure to be a great success. For those who missed out on picking the delicious strawberries, then the organic blueberries should be ready in one to three weeks. Unfortunately, there is not a definitive date for when they will be ready because Mother Nature makes that call. However, one can try to predict when they will be ready by keeping track of all the sunny days ahead. In any event, stop in to see what else Strawberry Fields Farm has to offer! Refrigerate till set — Eat and enjoy! 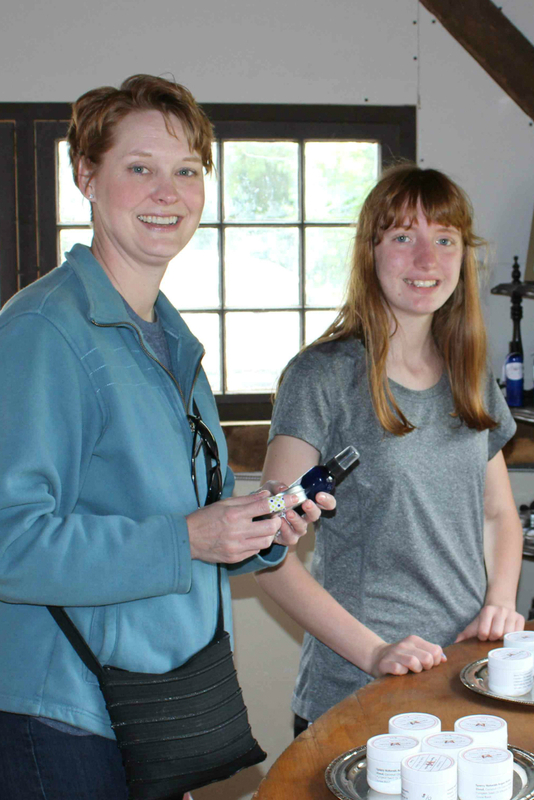 This original article ran in the July 8th Edition of the Citizen News, serving Sherman and New Fairfield, Connecticut. Next Would you commute 144 miles a day to New York City for a job? Great article. Great review! Loved the recipe.